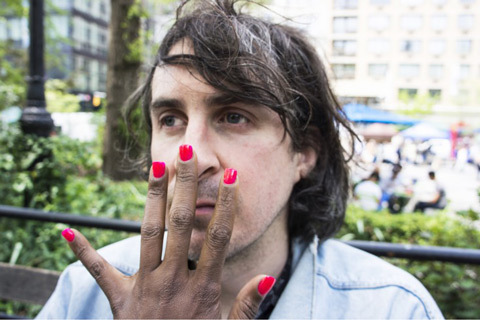 Photographer Joy Mckinney put together a photo series, The Guardian, which involved her invading people’s personal space, in particular touching random people’s faces. Coming from the South, Mckinney’s parents constantly instilled in her that it was dangerous to speak to strangers. Although once she grew up, chose to become a photographer and started working in New York City she was forced to talk to several new acquaintances regarding various jobs and photo shoots, so she had to get over that habit real quick. “Well my first instinct to do it was because I was raised as an only child and my family was extremely protective,” said Mckinney. 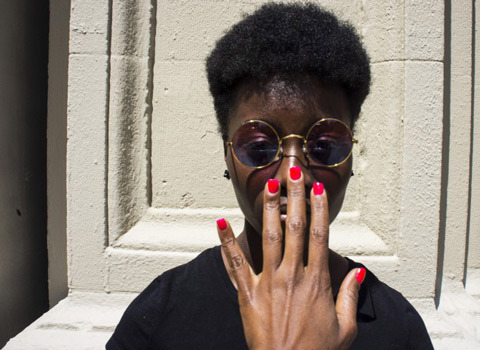 “I wanted to challenge myself and challenge my history by approaching people on the street and asking them to participate with me by photographing them and I would just place my hand on their face and see what happened.” She chose to touch the face opposed to other parts of the body to signify an intimate yet quick encounter. Several of them wanted to see an example of what she was going to do before they allowed her to do it. However, in the process of piecing together the series she had nothing physical to present. She realized that many people have this perception of New York City being this place where people are anti-social and guarded, but the 74 strangers who allowed her to touch their faces pleasantly surprised her. Although, even though these individuals were exceptionally open to her, she realized there was still a slight hesitation present in their behavior. The main underlying message Mckinney was trying to convey with this photo series is that all people need to be more open to engaging in a variety of experiences. She believes the only way for society to move forward is to be exposed to other people’s traditions and customs, so that we can all understand each other better to be able to function more effectively as a whole.